Last week Corinna O'Malley-Hamilton got an unexpected surprise at the Edinburgh Inspiring Volunteer Awards. Now in their eleventh year, Edinburgh's Inspiring Volunteering Awards recognises the organisations and individuals who volunteer in the city's vibrant charity and non-profit sectors. Spartans Community Football Academy nominated young volunteer Corinna for this year's awards. Corinna was not only acknowledged for her commitment to volunteering at The Academy, she received special recognition as the "Sports Volunteering 2017 Young Volunteer of the Year". Frank Ross, Rt. Hon. Lord Provost of The City of Edinburgh presented the award to Corinna at an awards evening hosted in the City Chambers. This is the first time that a volunteer from The Academy has been recognised as the sports volunteer of the year and we are delighted and excited for her! Corinna has been volunteering at The Academy for just over a year. She first started to help out when she was doing her Duke of Edinburgh bronze award at Trinity Academy. As a member of the Spartans Women's Football Development Squad, volunteering at the Academy was a perfect match. After her initial two months of Duke of Edinburgh volunteering Corinna was enjoying the experience so much that she asked to continue. 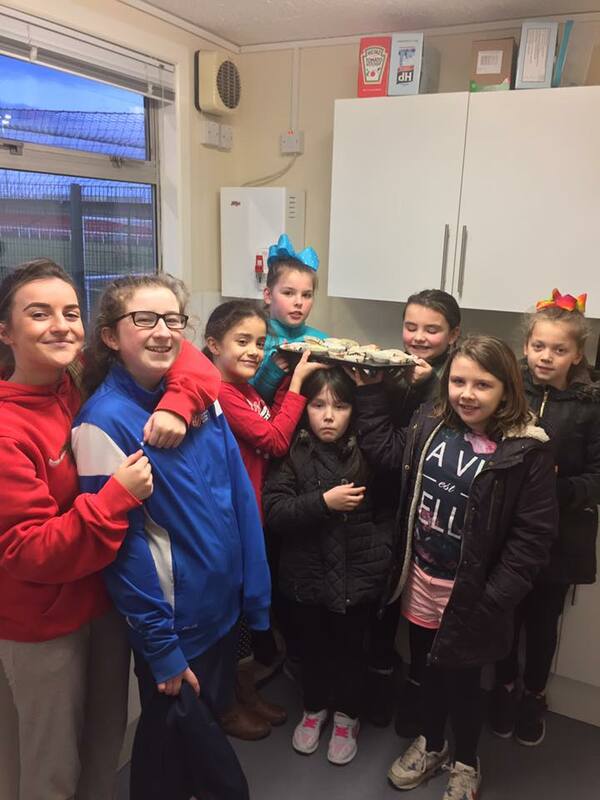 She can be found in many different roles at the Academy: helping out with FooTEA clubs, serving customers in the Cafe and more recently assisting in the coaching of our junior girls' Little Miss Kickers programme. She may appear quiet and shy, but don't let that fool you! Corinna has gown in confidence over the past year and is known for her great sense of humour. She is always smiling, ready to lend a hand and is a real team player and asset to the Academy. If you see her at the Academy be sure to congratulate her.